The Goal of this Registry is to locate and identify as many of the original factory-built Austin Healey 100M "Le Mans" cars as are still in existence and to register all 100's converted to the "Le Mans" configuration. Our aim is to help learn how many cars exist and who owns them. To do this will take the combined effort of all the Healey clubs, worldwide. 1. To identify as many as possible of the owners of the 640 original factory-built100M "Le Mans" cars still in existence, and to provide a registry for late or post-production 100's retro-fitted with "Le Mans" modifications. 2. To encourage owners to obtain Production Record Trace Certificates for their cars from the British Motor Industry Heritage Trust. 3. To encourage the preservation and accurate restoration of 100M "Le Mans" cars. 4. To assist owners of these cars In sharing information and knowledge with one another, thereby increasing the prestige, value and enjoyment of this special series car. 5. To provide guidance and materials sources to assist owners in restoration of this limited-production performance sports car. 6. To encourage the Donald Healey spirit of enthusiasm, camaraderie and helpfulness among Healey owners. 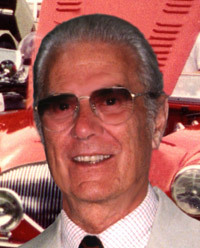 The Worldwide 100M Le Mans Registry was founded by Bill Meade in 1995. Bill had searched nationwide to purchase his own factory 100M and he realized how helpful it would be to know who owed these cars. He also felt a tremendous amount of information could be gathered to help all owners of the 100M. With the support of all national clubs and the Healey families, Bill founded the Registry. Registry Advisors assist and guide the Registry by contributing their time and knowledge. They review all Registry material for accuracy, contribute articles and provide their historic knowledge about the Austin-Healey and 100M model. 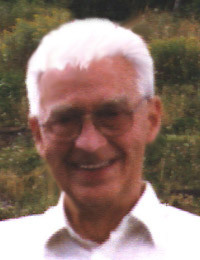 Bill started the Worldwide 100M Le Mans Registry in January 1995. Following the purchase of his Factory Built 100M in 1994 Bill found there was a lot of knowledge about this special performance car out there, it just needed to be brought together. That was his purpose in starting the Registry. The goal was to locate as many original Factory cars as possible that still existed. 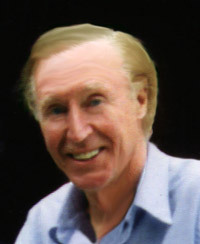 Gerry worked for Donald Healey in the 1950's and was the sole body designer of the new 100. Without the striking body design by Coker the Austin-Healey would have never attained the Classic status it enjoys today. Gerry was also responsible for designing the louvered bonnet, bonnet strap, front grille and the two-tone paint line for the 100M. 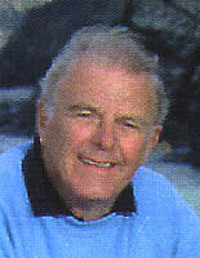 Gerry Coker has been a wealth of knowledge concerning the total development of the 100 and 100M. Bic worked for his father Donald Healey in the 1950's and was responsible for the significant sales of Austin-Healeys to U.S. servicemen in England at the time. Bic was closely associated with the early years of the 100 and has been a faithful carrier of the knowledge of Healey history. Roy was involved in almost all of the racing exploits of the 100 and 100M cars in the U.S.. From the Bonneville Salt Flats to road racing tracks across the nation, Roy was behind the wheel during most of the important Healey racing efforts. John not only worked for Austin Healey during the days of the 100 production , he also purchased his car new and has driven it from that day to this. John Wheatley is the individual who researched the original build records that made it possible to identify the Factory Built 100M cars. 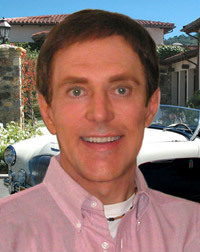 John is also the author of several books on the Austin-Healey.